 Chapter 31D - North Carolina Uniform Powers of Appointment Act. § 31D-1-104. Common law and principles of equity. Article 2 - Creation, Revocation, and Amendment of Power of Appointment. § 31D-2-201. Creation of power of appointment. § 31D-2-203. Presumption of unlimited authority. § 31D-2-204. Exception to presumption of unlimited authority. § 31D-2-205. Rules of classification. § 31D-2-206. Power to revoke or amend. Article 3 - Exercise of Power of Appointment. § 31D-3-301. Requisites for exercise of power of appointment. § 31D-3-302. Intent to exercise; determining intent from residuary clause. § 31D-3-303. Intent to exercise after-acquired power. § 31D-3-304. Substantial compliance with donor-imposed formal requirement. § 31D-3-306. Appointment to deceased appointee. § 31D-3-308. Selective allocation doctrine. § 31D-3-309. Capture doctrine; disposition of ineffectively appointed property under general power. § 31D-3-310. Disposition of unappointed property under released or unexercised general power. § 31D-3-311. Disposition of unappointed property under released or unexercised nongeneral power. § 31D-3-312. Disposition of unappointed property if partial appointment to taker in default. § 31D-3-313. Appointment to taker in default. § 31D-3-314. Power holder's authority to revoke or amend exercise. Article 4 - Disclaimer or Release; Contract to Appoint or Not to Appoint. § 31D-4-402. Authority to release. § 31D-4-403. Method of release. § 31D-4-403.1. Necessity for actual notice of release or limitation to bind fiduciary. § 31D-4-404. Revocation or amendment of release. § 31D-4-405. Power to contract; presently exercisable power of appointment. § 31D-4-406. Power to contract; power of appointment not presently exercisable. § 31D-4-407. Remedy for breach of contract to appoint or not to appoint. Article 5 - Rights of Power Holder's Creditors in Appointive Property. § 31D-5-501. Creditor claim; general power created by power holder. § 31D-5-502. Creditor claim; general power not created by power holder. § 31D-5-503. Power to withdraw. § 31D-5-504. Creditor claim; nongeneral power. § 31D-5-505. Requisites of release as against creditors and purchasers for value. § 31D-6-601. Uniformity of application and construction. § 31D-6-602. Relation to Electronic Signatures in Global and National Commerce Act. § 31D-6-603. Application to existing relationships.